"The Opening" addresses the age-old question 'what happens when we die?' with a spiritual fantasy of immense charm and imagination. 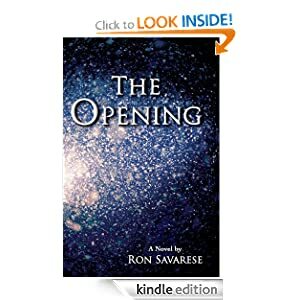 At once an insightful meditation on life's passages and a vision of unearthly realms, it creates its own enchanted worlds where characters connect with one another between here and the hereafter across the thinnest of lines. Joe St. John wanders out into a blizzard and falls through an opening that leads him to amazing, sometimes harrowing places where he encounters the major turning points in his life. Along the way, he revisits his missed opportunities, uncovers his life's core trauma, and is given mysterious geometrical symbols that hold the key to his future. 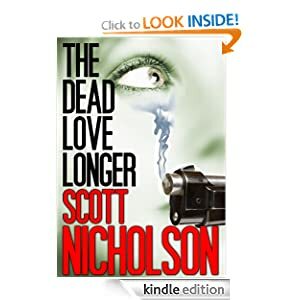 As Joe's soul hovers between two worlds he will discover the truth about life and death, and be confronted with the ultimate choice: save his own life, or give it up for someone he loves. A dead private investigator must solve his most difficult case ever-- his own murder--while torn between women on either side of the grave. The inhabitants of a tiny island off the coast of Scotland harbour a guilty secret – they’ve recovered a hoard of treasure from an ancient wreck. 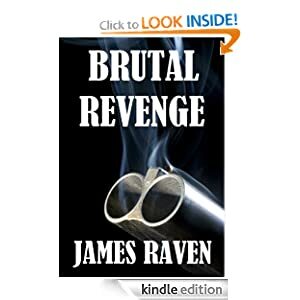 James Raven is also the author of Stark Warning, Urban Myth and Arctic Blood. NOT another story about Davy Crockett, Jim Bowie, Sam Houston and the boys. Decades before Crockett, Bowie or Houston even set foot in Texas, Frederick Stockman was already there. Author Jinx Schwartz, a ninth-generation Texan, has delved deep into her ancestral roots to create this moving story of the Frederick Stockman familys' courageous determination to make Texas their home during the turbulent period between 1806 and 1836. The Texicans was inspired by a Texas history book calling her ancestral clan a ""congenial society for evil""--rogues ""skilled in many forms of villainy"" for their role in the tumultuous years of first Spanish, the Mexican rule. 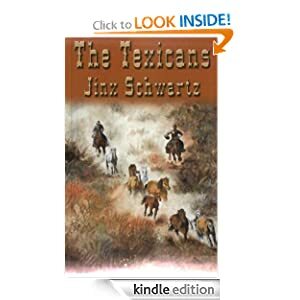 Frederick Stockman and his family immigrate to Spanish Texas in 1806 to ranch, but soon find themselves inexorably drawn into the bitter conflict between Mexico and Spain. They join forces with a dashing young Spanish deserter, Miguel Gonzales, in his successful campaign to liberate Mexico and Texas from Spanish rule. Their ties are further cemented when Gonzales marries into the family. As Heroes of Mexico, the Texicans--staunch supporters of Mexican rule for Texas--find themselves vilified by North American settlers illegally flocking across the unprotected border. These newcomers, calling themselves Texians, view Mexico, Mexicans and Texicans as the enemy. Targets of bigotry, the Texicans themselves are torn along cultural lines as their hero-turned-despot, General Santa Anna, propels them towards a deadly showdown.